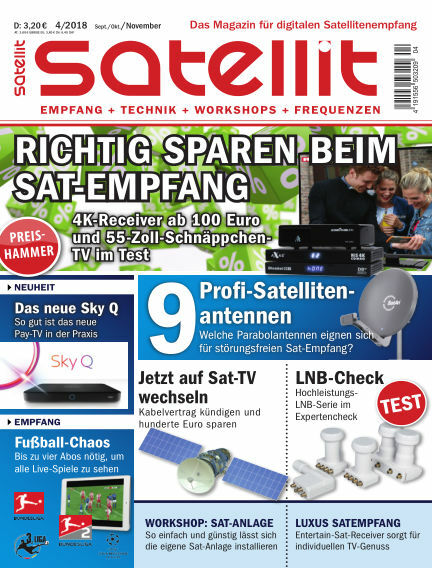 18 | Satellit als preiswerte Alternative zu Kabel & Co.
26 | Neues Fernseherlebnis mit Sky Q? 60 | Was taugt die Mini-Flachantenne aus China? With Readly you can read SATELLIT EMPFANG + TECHNIK (issue 04/2018) and thousands of other magazines on your tablet and smartphone. Get access to all with just one subscription. New releases and back issues – all included.